Wet dog, funky socks, musty books, and the ever-present smell of teenage boys is more than any home needs. Houseplants get a lot of lip service for their air-cleaning properties, but let’s face it, sometimes your home needs something more than just a gentle purifying. A living plant in the house does more than create healthy air; it can be scent enhancing and pleasantly mood altering. Fragrant houseplants are more pleasurable than you might think, and: are easily grown in the same conditions as unscented plants. It’s time to switch those artificial air fresheners for soul-satisfying natural fragrances. Citrus – A dwarf citrus tree, with its naturally sweet blossoms and vitamin-rich fruit, is just what the doctor ordered to chase away winter blues Choose your favorite dwarf variety and watch it grow to a very manageable head-high height. Citrus plants like the direct light of a South-facing window, so darker rooms should be fitted with full spectrum daylight bulbs. Roll them outdoors during the growing season and watch them really thrive! Jasmine – Whether trained on a ring, like a topiary, trailing from a basket, or scrambling up a small trellis, the fragrance of jasmine is utter intoxication. 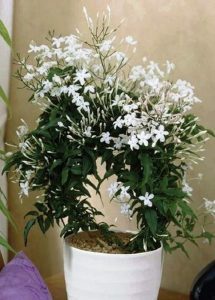 Water your jasmine moderately and provide as much light as possible. To trigger blooms a full spectrum light source may be necessary if you don’t have an indoor spot with six hours of sun and cool evening temperatures. When you see dozens of pink buds form in the autumn, you’ll know sweeter days are ahead! Lavender – All herbs have their unique scents that contribute to their culinary and medicinal values, but lavender is in a class unto itself when it comes to fragrance. The spicy, clean fragrance of lavender infuses our favorite scented products from soaps to perfumes and candles. 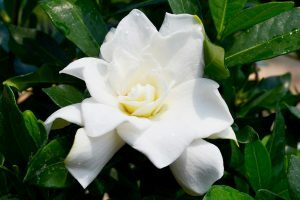 Best of all, the aroma is just as strong in the foliage as in the spikes of blooms, so sparse flowering won’t deprive you of that glorious perfume. 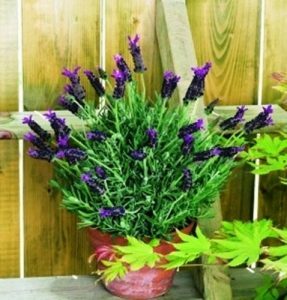 French lavender is a houseplant which flowers continuously in bright light and makes dreamy sachets. 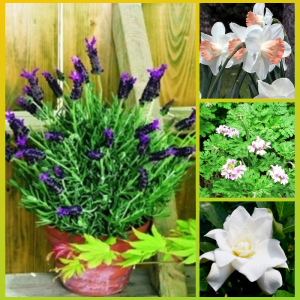 All lavender plants prefer sandy soil and moderate to dry irrigation. 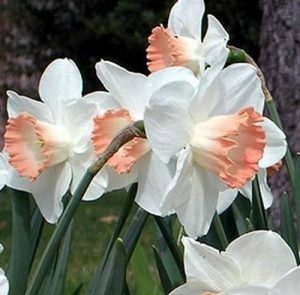 Paperwhites – This daffodil that grows indoors could not be easier to cultivate, even for beginners. You don’t need soil to cultivate a paperwhite bulb. Position the bulb in the neck of a ‘growing vase’, hold it above water level, and blooms will appear in about six weeks after planting. When their blooms fade paperwhites seldom bloom again, so don’t feel guilty about adding them to the compost bin or to your outdoor flower gardens. 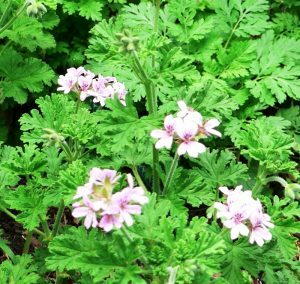 Scented Geranium – Although the foliage of the scented geranium does not emit a detectable fragrance unless the leaves are brushed, bruised, or crushed, the resulting aroma is so sublime that you’ll find excuses to touch this plant frequently. There’s an added benefit in that the leaves of scented geraniums are edible, adding their volatile oils to flavored sugars, bread, and pastries. You can choose from scents like apricot, ginger, nutmeg, pineapple, rose, and mint chocolate chip. Keep a few scented geraniums in the kitchen to give yourself an aromatherapy treatment each day. They grow well outside when the risk of frost is past.